Jul. 15, 2016 6:00 p.m.
Below: Hannah Elliot sings as the Garage Band performs at Dutch Lake Community Centre on Thursday evening, July 14. 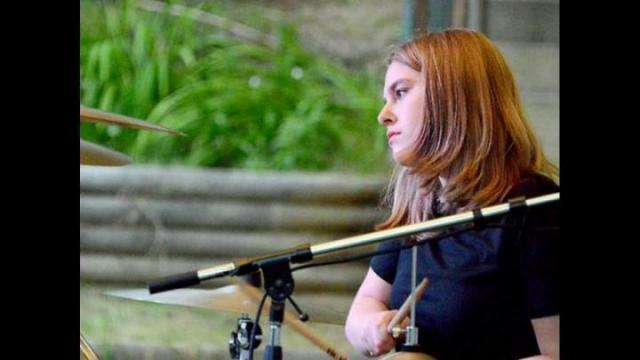 Other members of the band are Grayson Panko, Ashley Foster, Jenny Panko and Paytten Yurkiw, The performance was one of a series being held at the centre every Thursday evening over the summer.